Jersey Road, Isleworth, Middlesex, TW7 4RB (sat nav TW7 4RD). Back by popular demand, OperaUpClose presents their new one-woman opera With a Song in Her Heart, performed on the impressive stone Portico of Osterley House, overlooking picturesque gardens, park and farmland, lit by the late summer sunset. Osterley is one of the last surviving country estates in London. 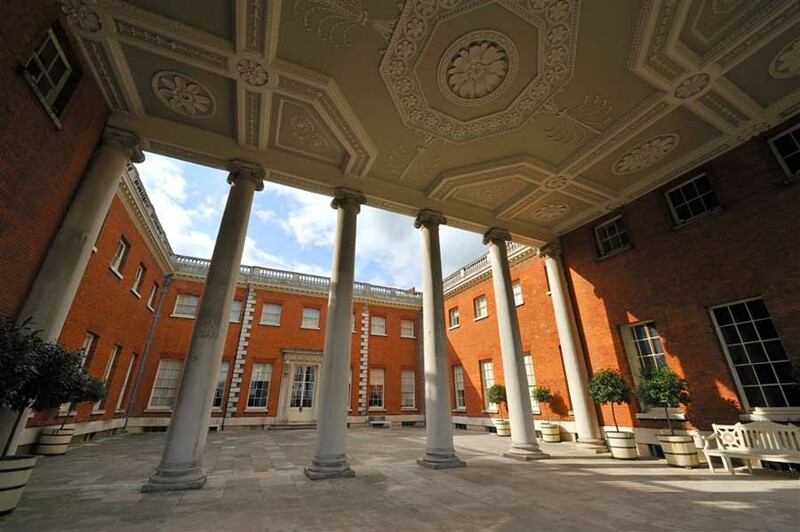 Once described by Horace Walpole as 'the palace of palaces', Osterley was created in the late 18th century by architect and designer Robert Adam for the Child family to entertain and impress their friends and clients. Today the house is presented as it would have looked in the 1780s; enter the house as the family's guests would have via the impressive stone steps leading up to the portico. The Portico is accessed via steps, unfortunately there are no ramps or lifts available for wheelchair users. This is an outdoor performance (partially covered by the Portico), in the event of poor weather, the show will go on. Tickets cannot be refunded. There are public toilet facilities on site, approximately 5m from the bottom of the Portico steps.